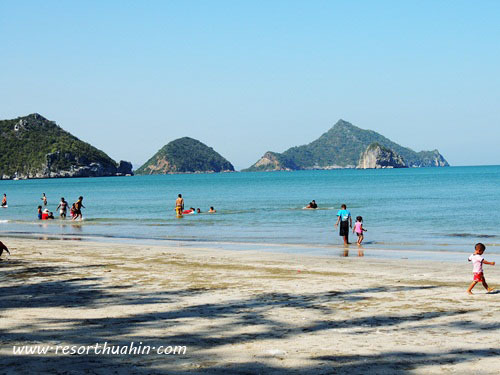 Khao Sam Roi Yod National Park is located 50 kilometers from Hua Hin, between Pran Buri and Prachuap Khiri Khan with the high-rise limestone mountain as its benchmark. The name of the park means a mountain with 300 peaks. 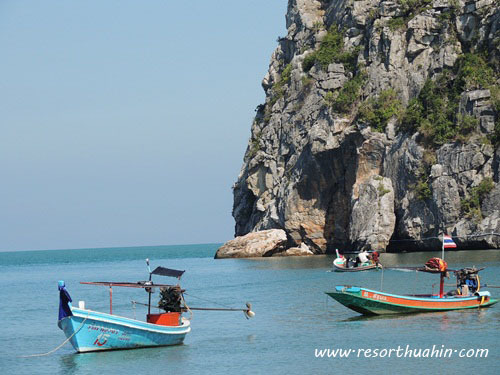 With its scenic views of lofty mountains, the park is close to unspoiled beaches and coves. 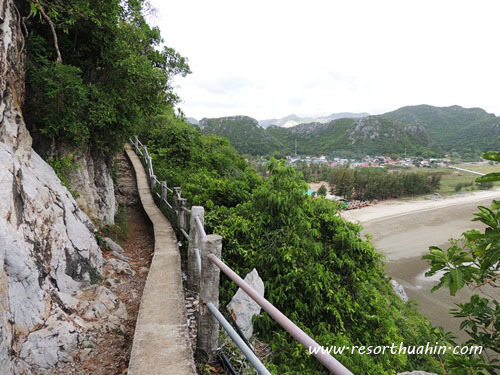 A view on the Khao Daeng Peak and Khao Daeng Canal are more spots to enjoy great landscapes with the canal flowing the mountains, passing the mangroove forest and into the ocean. 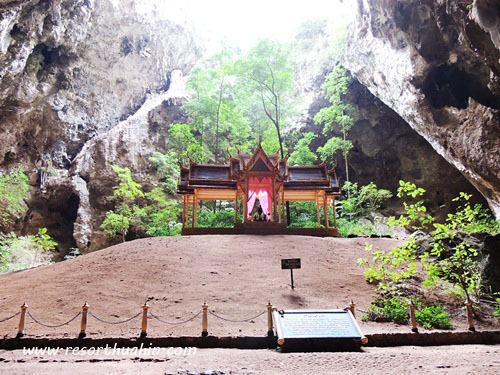 Caves like Phraya Nakhon cave is another site around the park with uncommon big karst window and a Thai-style pavillion build in honor of King Rama IV on his visit. 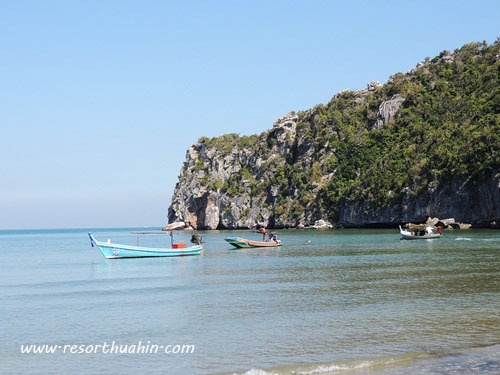 Other caves like Tham Kaeo and Tham sai feature peculiar shaped stalagmites which make for an interesting ambience. 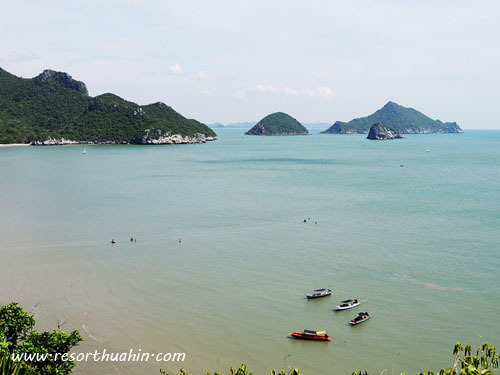 Within the National Park also lies one of the wetlands rarely found in Thailand, Thung Sam Roi Yot Wetland, one of the most biologically diverse area.